So, remember how last month we brought you word of a great-looking jacket from Coalatree? Well, if you missed out on that campaign, I ran across another one that has a very similar style that you may want to check out – the LoftTek Adventure Jacket. 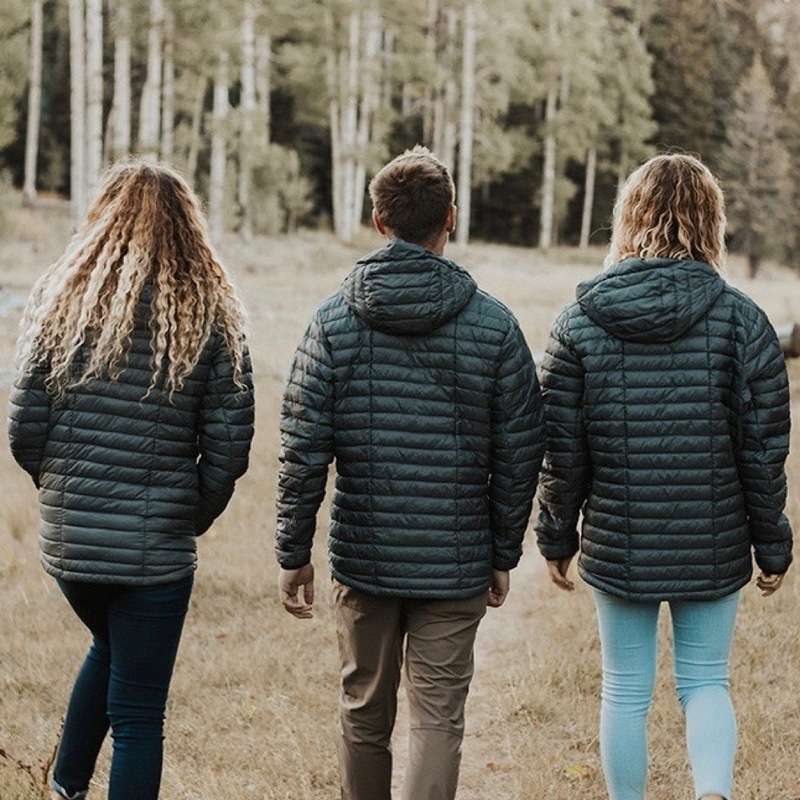 One of the things that the LoftTek Adventure Jacket is looking to address – and balance – is the choice between jackets with that fluffy down insulation and those with synthetic insulations. Their Kickstarter campaign goes into the various details, but suffice to say, different materials work better in different situations. One of the key ones, for me, is how the insulation performs when it gets wet. While wool keeps you warm when its wet, the LoftTek Adventure Jacket is looking to give you another alternative. Their insulation is made of a synthetic down, which means it makes for a jacket that is packable (this one stuffs into a pocket that makes it a nice pillow, and compact traveller), will be quite warm (due to trapping air pockets like down does), and will help keep you warm even if it gets wet. Now, that last claim is something you really have to try out to believe, but even if there is some loss in warmth with it getting wet, the synthetic should dry out quickly, getting back to full strength. Of course, so long as you don’t go swimming (or dunk it in a river as they show), the water-resistant coating they’ve put on the jacket should help you stay dry and toasty. There are some other rather nice features built into the LoftTek Adventure Jacket. For starters, it’s got a drop back, which means it drops below your waist to keep you covered when you’re active (or even just bending over to pick something up). It also has a higher neck, the hood is insulated, and there are underarm vents you can unzip to help let out the heat and keep your temperature regulated.